“Hawaii Five-0” and “LOST” star Daniel Dae Kim and renown Honolulu restaurateur D.K. Kodama have sold their interest in the Kahala franchise of The Counter. In what is described as a “buyback,” the sale by Kim and Kodama gives The Counter majority ownership of the restaurant, located at Kahala Mall. The remaining two co-owners, Ed Robles and Pablo Buckingham, will continue to be partners of the restaurant. Operations will continue as usual. 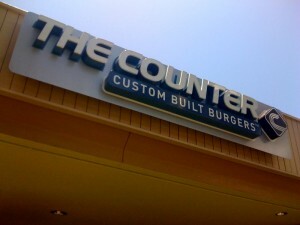 The Counter opened at Kahala Mall in February 2009 serving build-your-own burgers, ice cream shakes, malts and floats, as well as a diverse selection of handcrafted beer and wine. Located at 4211 Waialae Avenue, restaurant hours are Sunday through Thursday from 11 a.m. to 9 p.m., and on Friday and Saturday from 11 a.m. to 10 p.m. The restaurant can be reached directly at (808) 739-5100. There are currently 26 locations in the United States and two international locations. Other company-owned locations include The Counter in El Segundo, Calif., and Reston, Virginia.